Council leaders from across the UK are meeting this week to call for cooperation over tackling extremism and radicalisation within communities. Mark Conrad recently attended Prevent Strategy Channel Panel training and witnessed the wide range of dilemmas facing frontline staff tackling radicalisation and terror threats. 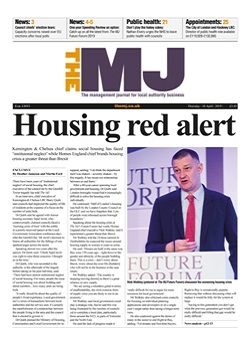 Frontline local authority staff are still wary of Prevent strategy training amid fears they could be viewed as extensions of the security services, practitioners have told The MJ. Councils will be expected to ensure venues and resources they own do not provide a platform for extremists, a new Prevent strategy toolkit issued by the Home Office has urged. Government cuts to councils have meant the economic benefits of migration are being lost, new research has found. In the wake of Boris Johnson’s burqa comments, Claire Fox calls for less knee-jerk reaction. Minister Ben Wallace has said he expects ‘natural variations’ in the delivery of local counter-terror strategies as Whitehall hands greater responsibility for Prevent to councils. Councils have intensified opposition to far right groups under the Home Office’s Prevent strategy amid indications the Brexit debate has fuelled cases of extremism, an expert has revealed. Action to tackle social segregation and the rise of extremism is not happening quickly enough, a former integration tsar has told MPs. Surrey CC has insisted it has made improvements since the Parsons Green bomber partially exploded a device on a tube train, injuring 51 people. Councils have been handed administrative control of the controversial Prevent counter-terror strategy, as ministers seek to make it more amenable to communities, The MJ has learned. Are we entering a new era of trust and respect? Heather Jameson would like to see a communities secretary who makes local government a funding priority through the Spending Review in return for delivery on key government policies. The Prevent strategy against radicalisation has recently come under fire for being a top-down initiative. Dan Peters talks to two local authorities with diverse populations that both back Prevent as a means of targeting impressionable young people at an early stage.